Transhuman Space: Teralogos News - 2100, Fourth Quarter. 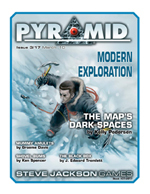 The first of our free collections of Transhuman Space adventure seeds. Transhuman Space: Teralogos News - 2101, First Quarter. Free! 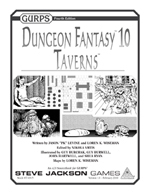 GURPS Dungeon Fantasy 10: Taverns by Loren K. Wiseman and Jason Levine. To do old-school dungeon adventure right, you start in a tavern, have a brawl, and get ominous instructions from a Mysterious Cloaked Stranger. Transhuman Space: Teralogos News - 2101, Second Quarter. Free! Transhuman Space: Teralogos News - 2101, Third Quarter. Free!